World time zone is divided into 24 intervals of 15 dercelik. (360/24 = 15) Turkey 2 and 3 in the Lair of the time zone. 2. The 30-hour period In the time of meridian east kulanmaktadır common time. (30/15 = 2 hours zone. Turkey, often under the influence of the Mediterranean climate. However, however, significant differences can be separated from each other and the Black Sea continental climates are also effective. The location of the area where the sun's rays are not perpendicular to Turkey. There are major differences in terms of decrease in the sun's rays throughout the year. As a result, the annual temperature differences in climates than Turkey. Experienced as a distinct four seasons. Turkey is located at the location of the different air masses encountered. For this reason, in the rainfalls in winter, usually in the form of frontal precipitation. The temperature decreases from south to north coasts. Extends parallel to the coast north and south of the country, the mountains between the coastal and inland climate here is the difference. The difference lies in the Aegean region is less than perpendicular to the shore mountains. Receives more rainfall than the mountains, places extends parallel to the shore. For example, receives more rainfall than the Aegean coast of the Black Sea and the Mediterranean. The temperature decreases from west to east due to ridge in Turkey. also receiving more rainfall than the surrounding high places, places the pit is less rainfall. For example, the Eastern Anatolia Region Central Anatolia Region is more precipitation. According to Eastern Anatolia, around the pit is very little rainfall in the Igdir. South-facing slopes of the whole year due to the impact of illness in dağlarımızın warmer than the northern slopes. Now heats up the air humidity is greater than in coastal areas around the late cools down. Temperature differences are few. Winters are mild and rainfall. The air humidity is less than the inland areas heat up quickly, quickly cools down. Temperature differences will be more. Winters are cold and snowy, and rainfall is low. Lowering the temperature of the winds from the north to Turkey, south, those temperature increases (due to the effect of latitude). The pressure centers around Turkey on wind and precipitation regime is effective. Whether expanding the high pressure over the Atlantic Ocean in the summer and is under the influence of low pressure formed over the Arabian Gulf. In winter, cold air from the north across the Mediterranean from the warm and humid air enters into effect. It consists of two air masses and fronts to encounter rain, mostly along the coast of Thrace, causes internal and snowfalls at higher elevations. Turkey, temperature, latitude aware of the coast, inland from the sea, altitude, location varies depending on factors such as the shapes. Maps showing the distribution of temperature isotherm (Equivalent temperature) are called maps. Drawn taking into account the effect of temperature elevation maps. The whole place is considered to sea level. Eliminated the effect of the ridge. So, all the hills in temperature of 1 ° C increase every 200 m above sea level is reduced. In the temperature distribution of different forms (elevation, slope, aspect and the mountains stretch direction) by eliminating the effect is drawn. Example 1: A where the actual temperature (-5 ° C), the reduced temperature is 17 ° C. How many meters above sea level this place? 200 m 1 ° C, changing, 22x200 = 4400 meters. Example 2: 2900 m measured temperature (8 ° C), this temperature is reduced where several ° C.? Example 3: a center height of 1800 m is the reduced temperature of 25 ° C. The actual temperature of this place would be a few ° C? Re: 1800/200 = 9 ° C temperature decrease. Accordingly, 25-9 = 16 ° C, respectively. The average temperature in coastal areas due to the impact of the sea is higher than inland. The effect of latitude northern shores temperature generally decreases towards the southern coasts. Based on the average of the observation stations in Turkey for many years, annual average temperatures between 4-20 ° C.
The hottest parts of the country south of the Southeastern Anatolia and the Mediterranean coastal belt. Average annual temperature is around 16 ° C, above. The higher parts of Erzurum and Kars plateau drops below 4 ° C. For reasons of elevation is more, karasallıktır. The highest temperatures occur in the coastal parts of the Mediterranean region. Causes: latitude, the effect of the sea from the north and the Taurus Mountains crimp helps prevent cold air masses. The lowest temperatures are part of the Erzurum-Kars in eastern Anatolia. Causes: The elevations have more than karasallık, cold winds from the north. Is the temperature difference between coastal and inland. Decreased temperature difference between coastal and inland. The highest temperatures occur in South Eastern Anatolia. For reasons of warm winds from the south Karasallık and effect. The lowest temperatures occur in this period the Department of the Erzurum-Kars. The reason is the increased elevation. Turkey's first discovery of coal, coal mining has long Mehmet Ereğli in 1829. In 1848 the first actual production of "Treasure-i Hassa" took place rented and managed by a basin under the Galata sarraflarına working with a very primitive 40-50 thousand tons of coal produced. With the beginning of the Crimean War the British government passed, and in 1864 transferred to the transfer of a mineral nazırlığı Deryası'na captain-established. This circuit has been great development in the basin, the basin boundaries of the train and tram lines have been identified furnished, coke, briquettes, consumer installations such as fire brick and cement factories established and regular increases in production in 1907 reached 735 000 tonnes. 1. Activity decreased again during World War II at the end of the war was occupied by the French in the basin. In 1920, production reached 570 000 tonnes under this administration. Bed of anthracite coal with Turkey was not found. Lignite coal is the most common type. 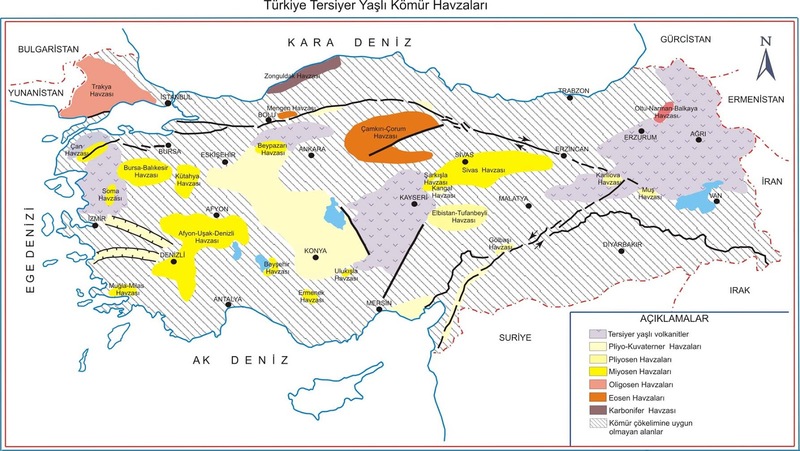 Turkey is a country very rich brown and has a total of 8.4 billion tons of lignite reserves. However, this reserve is less than the value of H heat produced lignites are generally used in thermal power plants. 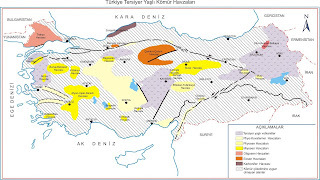 Coal beds of various depths and Eregli, Zonguldak coal basin, the basin of Turkey's most important. Of the total 1.35 billion tons of coal reserves stop. In addition, although the low calorific value, though, in the field of electrical energy Afsin-Elbistan is located in Turkey's largest lignite reserves. Produced by people of various raw and processed materials, transport or transport to transmit news from one place to another place is called. In our country, the most common type of transportation. 70% of freight transport, passenger transport carried out by road, 90%. Especially after the 1950s, highway construction and transport equipment increased increased. Of the busiest highways in Turkey, Edirne, Istanbul, Ankara, Adana and Istanbul to Bursa, and Izmir to Izmir, Aydin, Denizli is between. 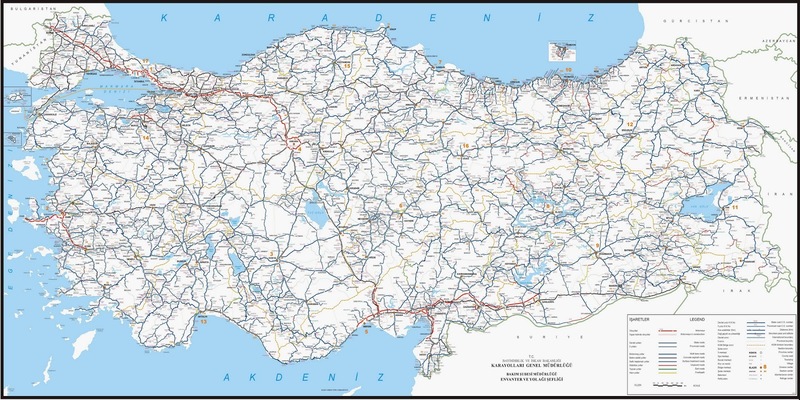 The modern highway highways in our country, not only in Edirne, Istanbul, Bolu and Ankara, Adana, Hatay is located around and around Izmir. Turkey is surrounded by sea on three sides and throat have two important, very important for the development of the maritime area. World trade lead to the most commonly used way to the sea. For this reason, road and sea ports need to be developed in our country. The country has 8,333 km of coastline, regular and scheduled passenger and freight transport between the regions not yet occurred. Even if the world did not reach 1% share in the merchant marine fleet. However, in recent years, the development of industry and commerce, limanlarımızdaki downloaded - superimposed load 8-10 fold increased. The share of transportation in our country for at least the transport sector. Because the transportation by air requires high capital and technology. In recent years, the Turkish air routes as well as the establishment of a private airline companies gave rise to a significant increase in air transport. Sale of goods and services produced is called trade. Be divided into internal and external trade. Within the boundaries of the country, the region and the trade between the sections is called internal trade. Feature some of the cities in our country have won the provincial centers of commerce. They Istanbul, Bursa, Izmit, Izmir, Istanbul, Adana, Gaziantep, Istanbul, Ankara, Konya, Kayseri, Samsun, Trabzon, Erzurum and Malatya provinces like. The development of trade in these centers, their existence has a major impact on transport routes. Exports (foreign sales) sales where a country does in other countries. Imports (outside reception): the goods of a country is called in other countries. A country's foreign trade with other countries is called the shopping. Provision of foreign trade, foreign trade volume of money is called. In developed countries, the volume of foreign trade than in the underdeveloped countries is low. However, in developed countries, exports, imports more than usually. These countries are taking more and more outside of raw materials processed industrial products sell out. In less developed countries to take the outside than the highly processed industrial products, agricultural products or raw materials they sell out. In Turkey, the first years of the Republic, with very little foreign trade volume has increased due to growing population and booming economy. Low volume of foreign trade, exports of agricultural and mineral products, imports of industrial products is more important in highly processed. After 1980, the foreign trade volume has increased. Exports of industrial products to 90% of the output. Tools to build the factory in imports of investment goods and raw materials increased. Some of durable goods (TV, refrigerator, etc.). In the last years, a type of trade is required to be applied to the free trade. A variety of free-trade countries produce goods without paying customs duties on certain markets where markets to be established. In our country, as a free trade zone is currently in Istanbul, Mersin, Izmir, Iskenderun, Antalya and Trabzon provinces were determined. One of the necessary conditions to ensure the survival of people sheltering their lives. To do this, people first natural shelters (cave-like), then they used the built structures. Geographical distribution of settlements, settlement patterns, functions and its relationship with environmental factors in the branch of science that studies the geography of settlement is called. Settlement is not suitable for the entire Earth. Due to favorable conditions in some places, while in some places densely settled settlement limits of various factors. These factors are the main ones. a) The Seas: portions of lands close to sea due to the marine climate has favorable conditions for settlement. However, a large portion of the earth (71%) covering the seas limit settling. b) Polar Regions: the temperature is below 0 ° C throughout the year, the ground is covered with snow and ice and agricultural production facilities or rare places where there is no settlement poles. (Antarctica, Greenland, northern Siberia, northern Canada, etc.). c) The Deserts: cobwebs around the inner parts of the terrestrial deserts, hot deserts of Asia and the settlement is sparse places. Called oasis settlements in areas around here more collected. Rainfall is less than the deserts of agricultural activities, livestock grazing lands, making regurgitation is prevented. d) Forests: equatorial forests and monsoon forests, lush forests, such as limiting the areas where the settlement. e) Altitude: The elevations are more places to settle due to the low temperature limit. f) Inefficient land: Swamps, and saline soils for agriculture, settlement limits prevented. Agriculture, industry, transport, tourism, mining influence on factors such as settlement areas. This activity is more than in cases where nüfuslanma. Our country was founded settlements in areas where soils are among the first in the world. According to various caves in Anatolia from the ruins were used as a residential area of ​​about 400,000 years. The first settlements of people who live by hunting and gathering rock shelters (caves) begin their use as a shelter. The emergence of the first village-type settlements in our country is based on approximately 10,000 years ago. These settlements are primarily Pilgrims (Burdur), Suber (Suğla Lake relatives), Fork-mounds (Konya-Çumra), llıpınar (environs of Lake Iznik), Hasan (Karaman) and Çayönü'dür (Diyarbakır). In our country, the climate, water resources and soil properties due to the favorable settlement land of Anatolia has been the cradle establishment of various cultures and civilizations. And other developments over time, depending on the amount of the settlement units, increasing population has grown, developed and spread. This is the amount of population in the settlements, functions, lifestyles, and cultural levels of the administrative status is different. Based on these different features can be grouped in the form of settlements in rural and urban settlements in the country. Subsistence agriculture and animal husbandry in general population of people who settle in rural areas provided less than the amount of the settlements. In our country, rural settlements of the village and sub-village settlements, including settlements are divided into two groups. Turkey is the smallest unit of administrative division system of village settlements. The economic structure of the village is based on agriculture and animal husbandry permanent rural settlements. At the place of establishment villages, usually river tribes, mountain slopes, valleys, among which are found in the plains and the sea coast. When we examine the economic advice according to their functions, are usually established in the fertile agricultural areas near the villages of the people engaged in farming and animal husbandry in the forefront of the high mountainous areas, forest established in the villages near the forest products people are trying to work on. Again, the sea and lakeside villages engaged in fishing and in some villages the people are working in the mines. In our country, villages and scattered settlements in the settlement in the form of mass divided into two groups according to the tissues. This situation forms on the earth, factors such as water supply and agricultural areas are effective. Were collected at a center-type houses close to each other as a collective settlement. The villages in the plains and plateaus are usually in the form of collective settlement. Settlements of this kind of inner Anatolia, Southeastern Anatolia, Marmara and Aegean regions are common. Type of settlement is home to a number of scattered houses in the form of single or scattered over the land. The terrain is rough, scattered settlements, where agricultural land is common in small and fragmented. Such settlements are mostly the Black Sea Region. The village is small, that is connected to the village as the administrative and economic sub-village settlements for various reasons some people have created villages, settlements separated into smaller units. The emergence of this kind of settlements, crowded families break the desire to live independently, disagreements between families, farm lands and distant from each other to be inadequate pasture and shelter for animals and factors such as supply has been effective. Mostly used as a temporary sub-village settlements in the spring and summer, some of the time, they can transform into continuous settlements. If you have more than one continuous residence within the borders of the village, each of which is referred to as the neighborhood. Neighborhoods separated from one village to village, but due to non-administrative function residential areas. Western Black Sea, Mediterranean, Marmara and western Anatolia, are common. In our country, is the most common sub-village settlements. In our country, due to the passage generally dry herbs, dry summers, type the green pastures and water in herds where people take them to the cool highlands. Transhumance activity has begun to change in recent years in our country. The slopes of the North Anatolian Mountains, overlooking the sea, on the mountains of the Taurus Mountains and the Aegean opened to tourism in the highlands and tourism activities around common. Established settlements of houses away from each other. These houses come together to create neighborhoods. Each sofa for a few houses and animals, poultry, barn and consists of holdings. This is common in the North Anatolian settlements in places. Consisting of one or a few out of the house to the small settlement is a type of agriculture and animal husbandry. Common in Eastern and Southeastern Anatolia. Many hamlets established as a temporary settlement, but most of the developing permanent settlement evolved into today. Village to raise a house and a barn animals away from the settlement of established type. Settlements of this type are common in Eastern Anatolia. Surrounded by fences and walls made for sheep and goats around the open-top type of settlement. Ovine stockbreeding Southeast, Central and Eastern Anatolia are common. More established by the people who live a nomadic life, and animals bred temporary residential areas. Mediterranean, Eastern and Southeastern Anatolia Region is common in places. Rural and urban settlements established away from home with one or more of agricultural land in large residential areas. With some agricultural activities are livestock farms. 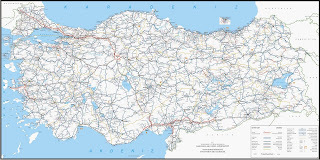 Western Anatolia, the Mediterranean, Central Anatolia, Thrace and farms are common. In general, small-scale animal husbandry in others the temporary settlements of sowing and planting. Aegean Region on the islands are common. The materials used in the construction of housing in rural areas, closely related to the natural environment and climate. Arid climatic regions of the adobe houses, timber houses common in the rainy and forested areas. Adobe dwellings, Central Anatolia, Eastern and Southeastern Anatolia regions are common. Geographically, the cities and their populations are classified according to their functions. Small compared to the number of people they host cities (population 10,000 to 25,000), medium (population between 25 000 and 100 000) and largest city (population over 100,000) are classified as. According to the function classification of cities, economic, administrative, cultural, and military facilities are taken into account. Almost all the city's founding and development of one or a few of these functions are effective. Generally, a function that comes to the fore in the development of cities. In some cities, more than one function is effective. Istanbul, Izmir, Bursa, Adana, Ankara,. A significant proportion of small and medium-sized cities, cities in our country of a part of the livelihood of the people and livestock farming provides more. Set in the heart of agricultural land in these cities are part of the agro-based industries. Against the needs of small settlements in the surrounding cities is the center of this trade. The development of these cities to the width of the surrounding agricultural land, irrigation, fertilization, mechanization and transport facilities dependent. 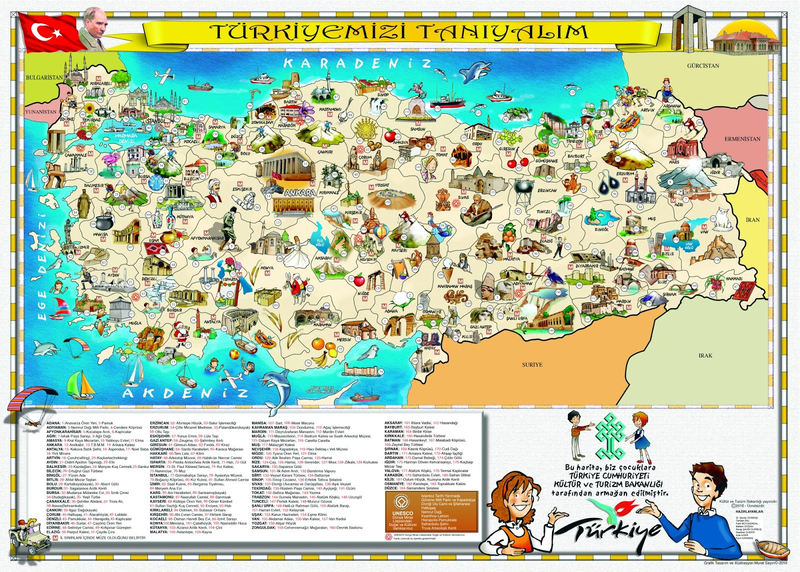 These cities, Rize, Erbaa, Niksar, Inegol, Aksehir, Turgutlu, Aksaray, Karaman, Nigde, Iğdır, Bayburt, Agri, Mus shown as an example. Trade is one of the important functions that are effective in the growth of cities developed. Domestic sectors hinterland road and rail connectivity with a wide range of trading goods bought and sold, and with the development of port cities sanayininde stored transformed into an important trade centers. Istanbul, Izmir and Mersin. This is an important part of the livelihood of the people living in cities provides industrial companies. Istanbul, Izmit, Bursa, Karaikal, the Black Sea Eregli, Kırıkkale and Iskenderun are some of the most important industrial cities. With the development of the industry in these cities, trade, banking, transport, and other sectors developed. Climatic conditions in the development of the industry, transportation, proximity to sources of raw materials and energy supply be easy to have been effective. Cities with a variety of natural beauty and historical riches, is the center of tourism. Antalya, Bodrum, Marmaris, Cesme, Urgup, Cappadocia and Istanbul is one of the centers. Depending on the development of tourism in these cities, trade, transport and communication services such as shows development. Also located in the busiest intersection points on the roads and in Eskisehir, Afyon, Konya, Ankara and the development of transport activities have been effective in cities such as Istanbul. The development of some of the residential units have been effective in the city center and the capital to be significant. Various directorates have seen the state of affairs in a province governor's office and work of many people around here that can contribute to the development of the residential unit. For example, Hakkari, Kars, Bayburt, Ardahan like. In the past, which is the capital city of Bursa, Edirne, Konya and Istanbul being the capital, was an important influence in the development. However, being the capital of Ankara's growth and development plays an important role. Sarıkamış, puddles, Erzurum, Kırkağaç economic life of cities, such as the presence of some of the major cities, military units bring life and vitality. - Rural population settlements are less urban settlements. - Some of the temporary settlements of rural settlements, cities, all permanent residential areas. - Infrastructure and superstructure services developed by cities, rural settlements. - Education and health services in cities further improved. - Those living in rural areas, those living in cities often an important part of dealing with agriculture and animal husbandry industry and services industry. - Common in urban multi-storey dwellings, residential areas and business areas, and more or less separated from each other. - In rural areas due to the climate and the natural environment of wood, brick and stone dwellings, multi-storey reinforced concrete structures common in cities, while common.